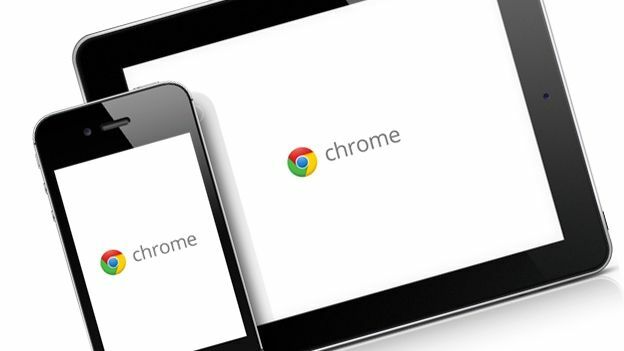 Google has announced Chrome 44 for iOS with two corking features: the first being horizontal swipe on your web screen so that you can finally swipe left or right to navigate the page, and also suport for what Google calls the 'physical web'. The days of faffing around with different menus and buttons to navigate your web browser are finally over, with a simple swipe interface. Surfing the web on Chrome has never been so pleasurable. The only slight snag is that the swiping navigation only works if you're on the same tab. Also in this version of Chrome, Google has provided support forits physical web project enabling smart devices such as parking metres, bus stops and stadiums to communicate directly with a smartphone without using an app. Google's theory is that you should be able to walk up to a vending machine or a bus stop and be able to access info on that device straight away, without clogging up your iPhone with apps you'll only use once. It is only a development project at the moment so you'll have to wait before you can use Chrome 44 with everyday smart devices. The swipe navigation however is definitely ready to roll.